I will always regard Broadway as the major leagues of musical theater. This doesn't mean that there aren't hugely talented people who will never perform on the "Great White Way" in New York. 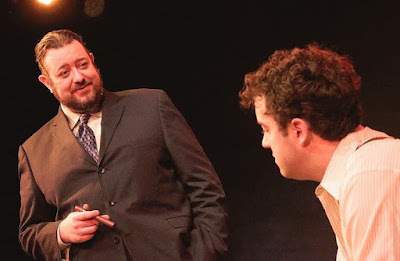 Virtually every week I see and salute remarkable performers in and around Chicago; the show I'm now reviewing includes several prime examples. But even if it's just my perception, I consider a musical--or play, for that matter--that runs on Broadway to have "made it" to the top level of theater (with London's West End nearly on par). Certainly some lousy musicals can make it to Broadway and great ones fail to do so. And many a new Broadway musical has flopped on arrival; closing within a few days, weeks or months. 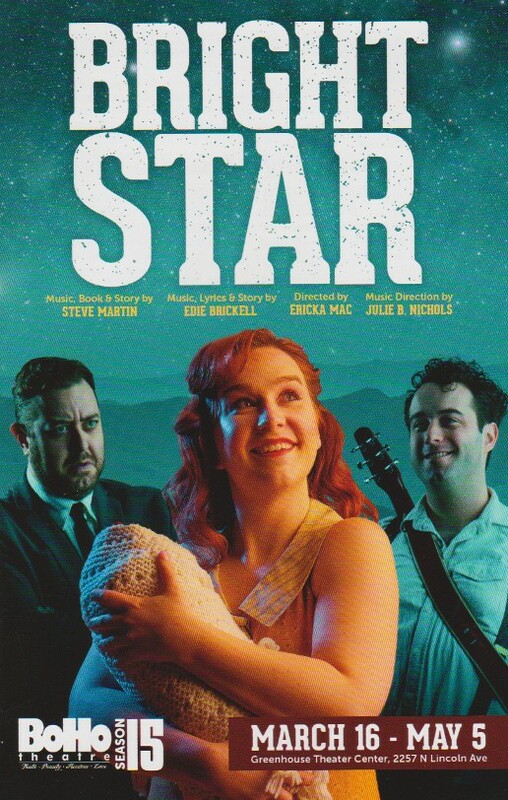 Bright Star, written and composed by Steve Martin and Edie Brickell but with neither starring in it, opened on Broadway in late March 2016 and--despite fairly strong reviews--closed just 3 months later. Up against the phenomenon of Hamilton, many long-running hits and even the then-new jukebox musical, On Your Feet!, it's understandable why the homey Bright Star didn't bring tourists and NYC denizens in droves. But it was a BROADWAY MUSICAL, which doesn't guarantee quality, but to me, means something. And even if I've liked the shows to varying degrees, I've relished whenever local Chicagoland theaters have staged productions of recent Broadway musicals that never even toured (at least not to Chicago). 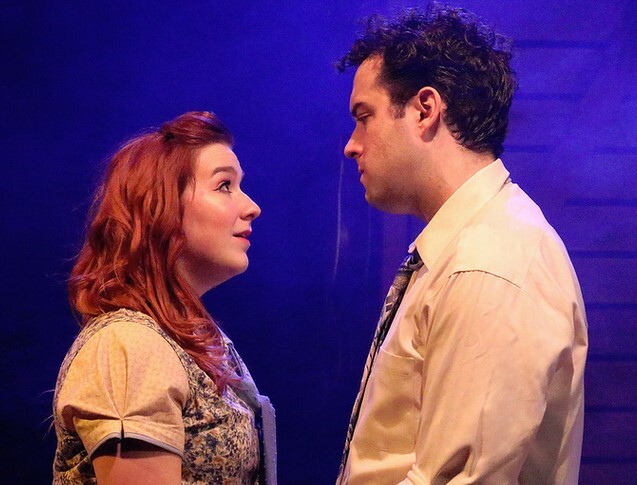 Marriott Theatre Lincolnshire's take on The Bridges of Madison County was--pleasantly surprisingly--one of the very best shows I saw in 2017, and their Honeymoon in Vegas wasn't bad. 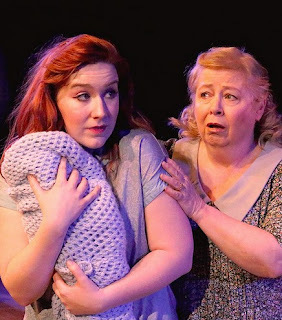 So I was quite intrigued when I noted that BoHo Theatre--an ensemble whose 2018 staging of Stephen Sondheim's classic A Little Night Music was ravishing--was presenting Bright Star. 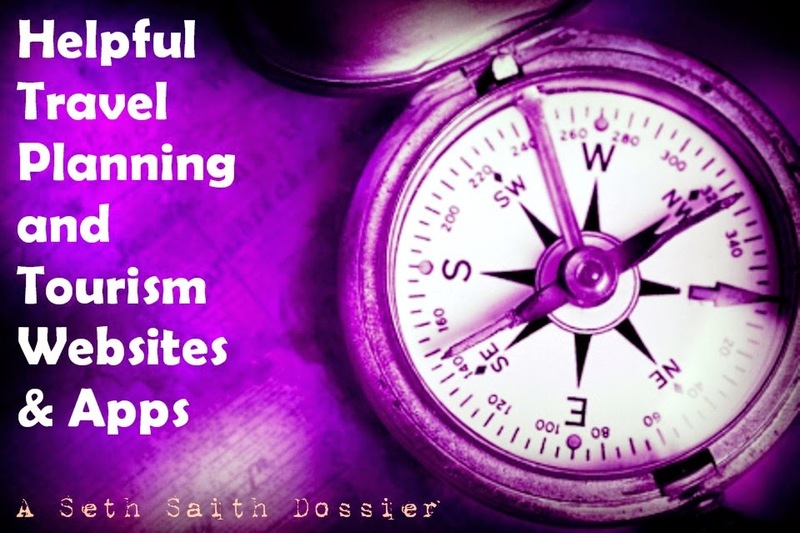 And I genuinely found it to be terrific. Not quite on par with the greatest musicals ever, but a warm, tuneful, enjoyably original work whose folksy musicality fits well within intimate confines at the Greenhouse Theater Center. And while my regard for "Broadway caliber" performers--with insanely rich vocal timbres and remarkable stage presence--would temper me from easily heaping such praise on the cast members here, I really couldn't have wished for them to be any better. Set in North Carolina and bouncing between 1945 and 1923, Bright Star in its Chicago premiere stars Missy Wise as Alice Murphy, and she is fantastic. and flashing back to 1923, Jimmy Ray (Josiah Robinson) is a boyfriend who impregnates her and wishes to do the right thing when her baby is born, but is precluded by his domineering father (Scott Danielson). As with Wise, the three actors are demonstrably good, including vocally, as is the effervescent Kiersten Frumkin as Margo, Billy's longtime friend who longs to be something more now that he has returned home from World War II. Along with being a brilliant comedian and at one point, one of the world's biggest movie stars, Steve Martin has in recent years made a point of showing the world his prowess as a banjo musician. And once upon a time, Edie Brickell had considerable pop success with her band, The New Bohemians (hence my cheeky headline lead-in above). The two had collaborated musically even before creating Bright Star, and save a bit of banjoesque sameness in some songs, it's a rather satisfying score. The show begins with Wise as Alice singing "If You Knew My Story," which evolves into a fine group number, and Pierpont soon superbly leads the title song. 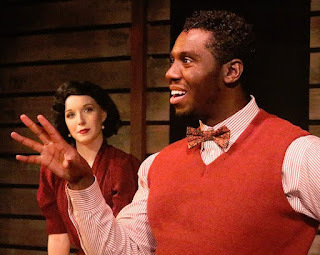 "Way Back in the Day" is another delight, with Wise and Robinson both demonstrating strong vocal chops that will be shown repeatedly, and Frumkin delivers a fine "Asheville." Although there was a tad too much similarity among a few songs, the Americana soundscape is robustly enjoyable and rather unique for a "Broadway musical." And the score is nicely diverse for the most part. 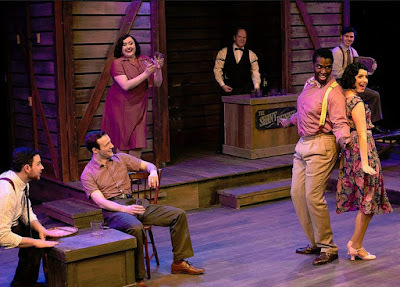 Under the direction of Ericka Mac, everyone in the cast does an excellent job, with Danielson really good at playing an unkind character--his singing is also strong--and the striking Rachel Whyte leading "Another Round" delectably. There are a couple narrative twists I'm certainly not going to reveal, but while the story--credited to both Martin and Brickell, with the former cited as the book writer--loosely based on a real-life scenario may well have been a touch too melodramatic and saccharin to engender Broadway success, it lends itself to the wholesome likability of Bright Star. Over the last few weeks, I have seen a strong local production of The Producers, which is my all-time favorite musical, and the first national tour of Dear Evan Hansen, one of very the best musicals of the past few years. 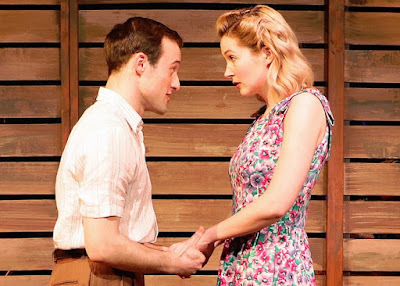 Even with a swell local production, I just didn't derive quite the same delight from Bright Star. So while a Broadway run of any length will infer to me a show worthy of my awareness, success or failure on the Great White Way needn't be construed as proof of musical's merits. And there is almost nothing better than when a local troupe showcases the considerable merits of a musical that may not have gotten its due in NYC. Such is the case here, and great kudos is due BoHo, Mac, the cast, crew and musicians. The source material may not quite be brilliant, but under their care Bright Star clearly sparkles.